The Empire Sunset is a cocktail informed by its surroundings. 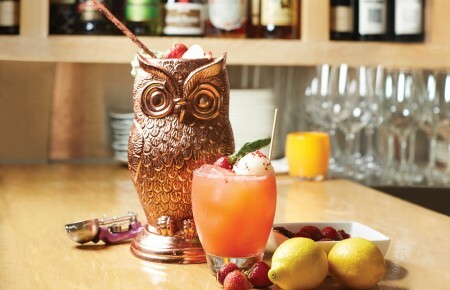 Empire Rooftop’s signature drink is served in a chic, newly renovated lounge perched atop the 12th floor of its namesake hotel overlooking Lincoln Center on the Upper West Side. 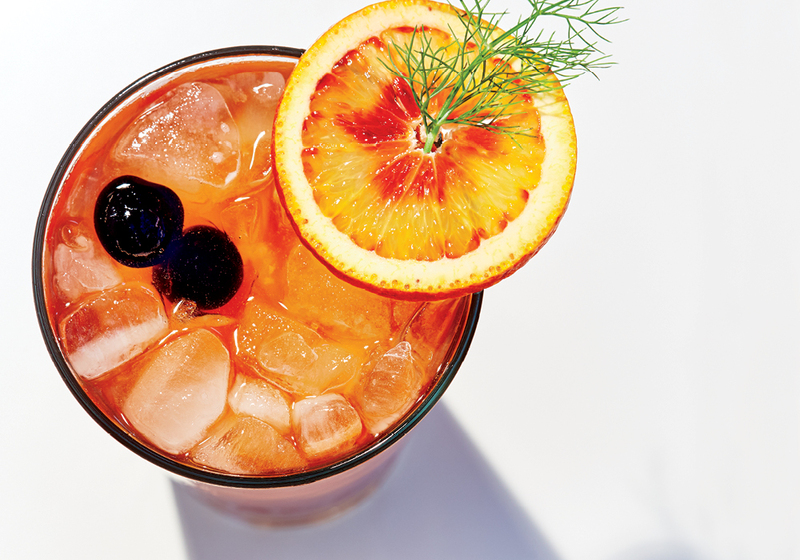 As its moniker suggests, the cocktail was intended to pair with the venue’s sunset views over the performing arts center, hence the orange-red color and crowd-pleasing combination of sparkling wine and citrus with a hint of fennel syrup to keep things interesting. “The fennel syrup idea came from the Italian ingredients complementing the blood orange and prosecco,” said Hospitality Holdings’ group general manager Fabio Schiattarella. 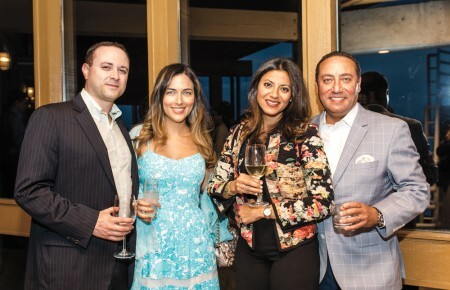 The new cocktail-centric lounge is an elevated reincarnation of the former nightclub—and the Empire Sunset rises to meet the sophisticated transformation. Shake first five ingredients with ice and strain over new ice in a tall pint glass. Top with prosecco. Garnish with brûléed blood orange slice, black cherry and fennel leaves. Fennel syrup: simmer half cup sugar and half cup water with two tablespoons of fennel seeds until the sugar is fully dissolved. Set aside until cool and then strain out the seeds. Store the syrup in refrigerator between uses.